The French region is enjoying an extraordinary period of prosperity for a variety of reasons, writes Curtis Marsh. While I continue to refer to regions such as Bordeaux in France and Coonawarra in Australia as “old” and “new world”, I sometimes wonder which is more abreast of pertinent technology and how to best balance it with tradition and nature. There have been exponential advancements in viticulture and winemaking over the past 20 years. Many timeless methodologies have also been maintained. However, advances in the science of chemistry and botany, alongside mechanical ingenuity, has interjected to a point where we are in danger of artificially synthesizing an otherwise purely natural beverage. In this regard, the Bordeaux region is polarized in idealisms: the larger generic producers struggle to be competitive in the global export markets while supermarket shelves are crowded with “new world” wine styles. Then there are the so-called garagiste (garage) producers of St Emilion and Pomerol. The term not only alludes to their smaller-sized operations, it encapsulates their unconventional approach to winemaking. The results are more profound wines that many feel are closer in style to Californian cabernets than classic elegant Bordeaux claret. 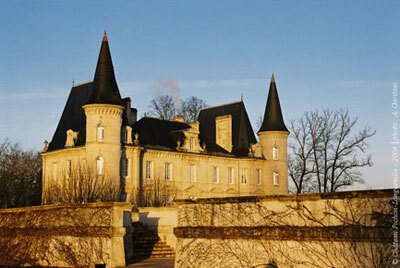 Yet these often chateau-less chateaus hypocritically camouflage themselves in Bordeaux’s rich history and tradition. There is also criticism in the English wine press, particularly from Master of Wine Jancis Robinson and Michael Broadbent, of certain chateaus pandering to the American palate, and of wooing Robert Parker (apropos higher scores) by inducing increased ripeness in the grapes and employing ultra-modern techniques, including amplified oak treatment to produce a more concentrated, seductive style. In the 1960s, 70s and 80s, there were many Bordeaux properties that were underachieving, either because of financial constraints (their unwanted vintages backed up in the cellars), or ownership changes (an ever-present problem involving onerous French inheritance laws). However, Bordeaux at the Cru Classe level – that is, the chateaus that were ranked in 1855 Classification – are now enjoying an extraordinary period of prosperity. Buoyed by several prodigious vintages, there is unprecedented demand from emerging markets such as China, India and Russia, fuelling the commodity-driven nature of the Bordeaux wine trade. 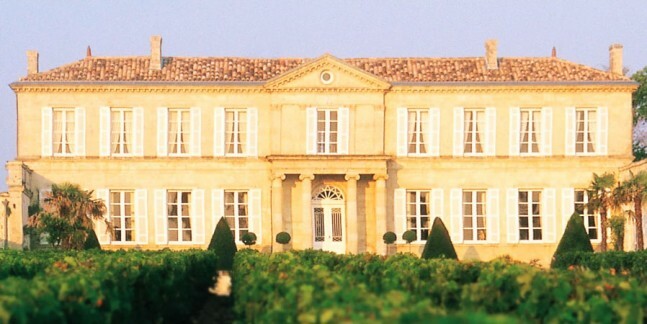 There also is a heightened awareness among the top-producing chateaus of their uniqueness and unrivalled terroir, hence the return to vineyard-driven wines and traditional methods, at the same time utilizing the latest techniques and state-of-the-art equipment. The buoyant market is facilitating funding improvements both in the vineyard and cellars; indeed there is an overall feeling of optimism. There are underperformers, as there are in any region, so you still need to do your homework. While investors and trophy hunters are preoccupied with vintage reports, press reports and hype, I would urge you to follow the individual chateaus that are in top-form, regardless of vintage. Most are impeccably run properties that employ labor-intensive sorting of the harvested grapes, and have second wines to declassify young vines or any barrels that are not up to the highest standards. There are countless chateaus now making wine way beyond their status, so much so that the 1855 Classification is unquestionably outdated and inaccurate in that the majority are outperforming their historical ranking. One such producer is Chateau Branaire-Ducru in St-Julian, which has a proven history of offering wines equal in merit to more celebrated growths of its commune, even the first growths in good vintages. Yet it remained hugely underrated, snubbed because of its 4th Growth ranking, until Patrick Maroteaux, president of Unions des Grands Crus Classes, purchased it in 1988. This is a classic example of a property that should be reclassified to 2nd Growth. The 2003 Chateau Branaire-Ducru is resplendent in black fruits, a classic cassis of concentrated blackberry, sweeter blueberry, plum notes with an overriding perfume of violets and subtle hint of mint. Behind this are seductive secondary aromas of cedar and forest floor, morels, deepening to meaty, beef stew-like nuances. There is a dusty, gun-smoke quality with wet clay minerals, charcoaled timbers, liquorice, and sweet vanillin tones from evidently classy new oak. Its creamy, satiny entry glides across the palate with sweet blueberry fruit, all wrapped in milk chocolate, its plush middle palate, becoming more intense as tannins envelope the fruit. This changes to sourness toward the back as the tannins turn savory and dusty, acidity kicking in with tangy tamarillo-like bite and gravely-earthy minerals lingering among black tea. I tried the remainder of the bottle the following evening. It was absolutely seductive in bouquet and even more gorgeous and velvety soft on the palate, incredibly elegant and engaging. I cannot recall such an attractive young Bordeaux since experiencing the 1982 Chateau Lafluer on its first release. After underachieving for decades yet, acknowledged as the vineyard in the commune of Pauillac with the most potential, Chateau Pichon-Longueville Baron de Pichon-Longueville (generally called Pichon Baron, as distinct from Pichon-Longueville, Comtesse de Lalande, hardly confusing at all really!) is now producing wine to rival the very top ranks of Bordeaux. And it is still relatively well priced against the super-seconds and first-growths. I paid S$170 (HK$872) for the 2003, again at Wine Culture. 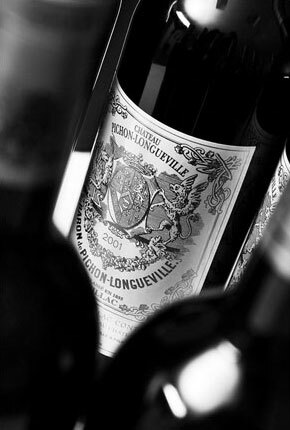 The 2003 Chateau Pichon-Longueville Baron is deeply perfumed with an inky intensity of blackcurrant, blackberry and an extra lift of brighter red fruits and violets. These lurk among oriental spices, espresso coffee, black peat earthiness, forest floor and charred timbers and smoky-flintiness. The palate is immediately saturated with dark berry fruits wrapped in layers of bitter chocolate. Lively acidity creates a sweet-sour interplay with savory mouth-drying black tea tannins kicking in, building in the mouth and becoming incredibly concentrated, all the while silky and seductive. There are herbal flavors at the back palate and a tangy, lingering acidity, with plenty of steely backbone and liveliness. Having preoccupied myself with Bordeaux 2003s, the year of my daughter’s birth, the more I try from this vintage the more I am convinced that many producers handled the intensely hot conditions admirably; there are some great wines to be had. If you’re travelling through Singapore, it is worth picking up a couple of special Bordeauxs as prices there are very competitive, with a volumetric tax equal to S$7.50 per bottle. Wine Culture, Vinum Fine Wine Merchants vinum@vinum.com.sg and Booze Wine Stores www.booze.com.sg are good places to shop. However, remember to have them packed in polystyrene as all bottles now have to checked in with your luggage.